2016 GREAT GOLF FOR A GREAT CAUSE - Men and women throughout south Palm Beach County had a rewarding day of fun on the course and in the clubhouse while they supported those in need within our community. 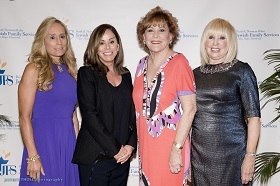 2016 Reflections of Hope Luncheon featuring Melissa Rivers took place February 25th at the Boca Raton Resort & Club. 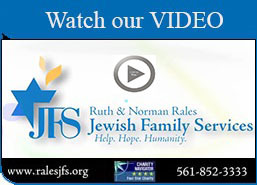 2016 Reflections of Hope Cocktail Reception, sponsored by Saks Fifth Avenue, took place at the home of Abbe & Steven Becker The Reception was exclusive to our Luncheon Underwriters, Sponsors and JFS Board of Directors. 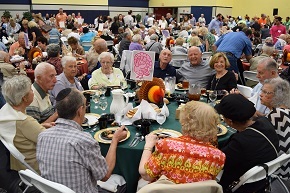 JFS partners with Levis JCC to feed close to 700 guests who would have otherwise been alone for Thanksgiving. 2015-2016 Season Kick Off Event "Legacy of Fashion"
Board of Directors sort the 5,000 pounds of food collected during our Annual High Holiday Food Drive at the Jacobson Family Food Pantry. 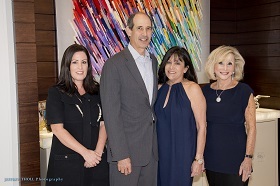 This year’s Reflections of Hope luncheon, featuring actress Linda Evans, took place February 26 at the Boca West Country Club in Boca Raton. Take a peek into the magnificent, sold-out event which took place at St. Andrews Country Club. 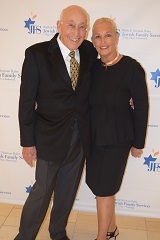 Congratulations once again to our honorees – Shirley & Barton Weisman who received the Ruth & Norman Rales Humanitarians of the Year Award and David Katzman, CBIZ, MHM LLC, the Corporate Leadership Award. 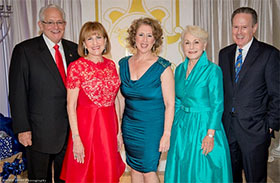 Thank you to our tremendous event chairs: Stephanie & Richard Chestnov, Jane & Alan Cornell, and Dale & David Pratt.